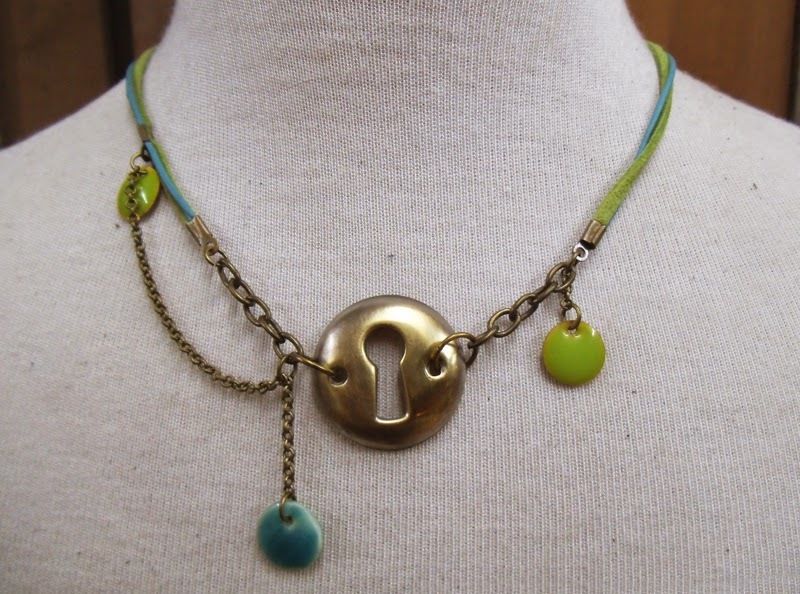 Short necklace with vintage brass keyhole plate, aqua faux leather, lime green suède, brass chain and enamelled beads in aqua and lime green. 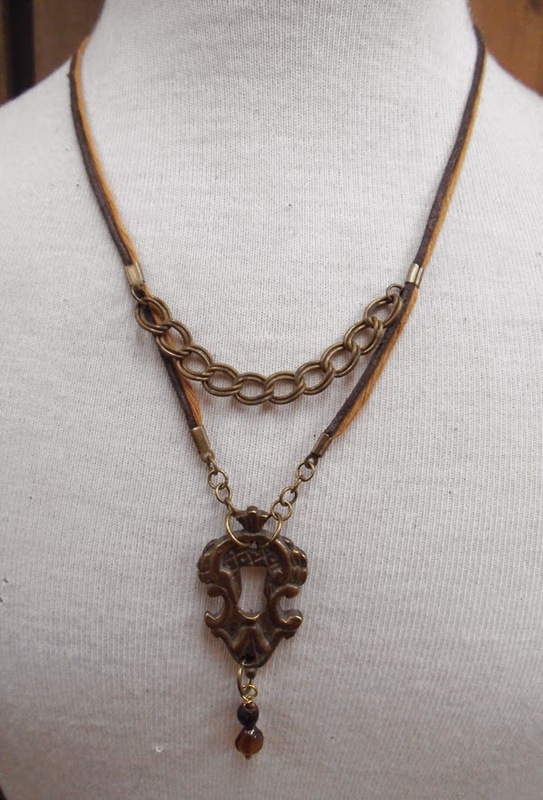 Lobster clasp at the back. 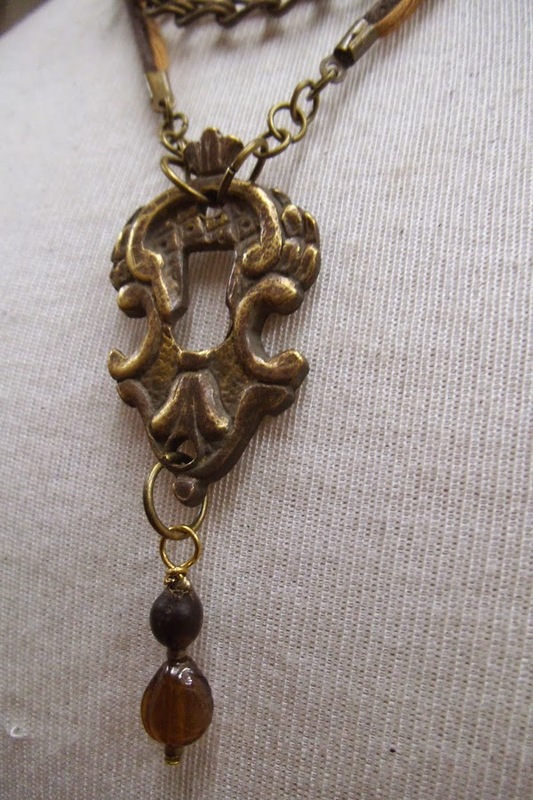 Long necklace with antique bronze keyhole plate, dark brown leather and light brown cotton, brass chains, exotic seed and glass beads from India. 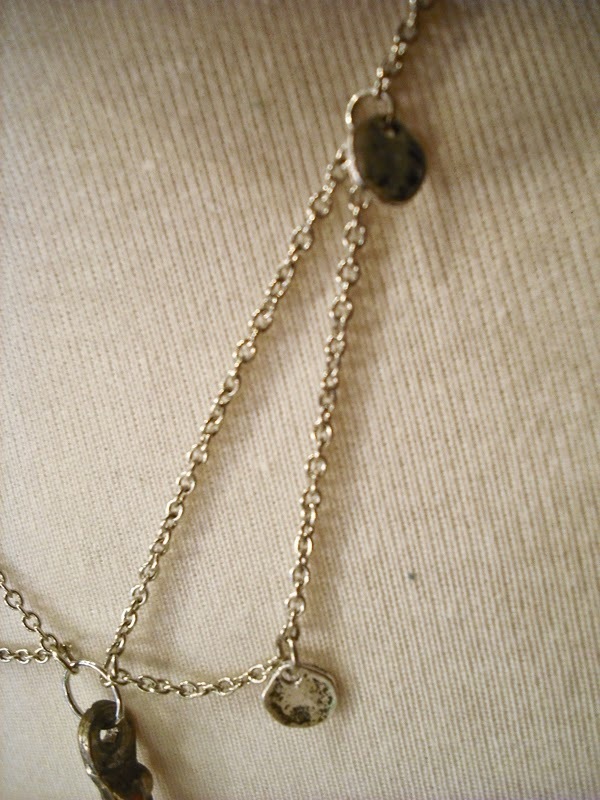 Lobster clasp at the back. 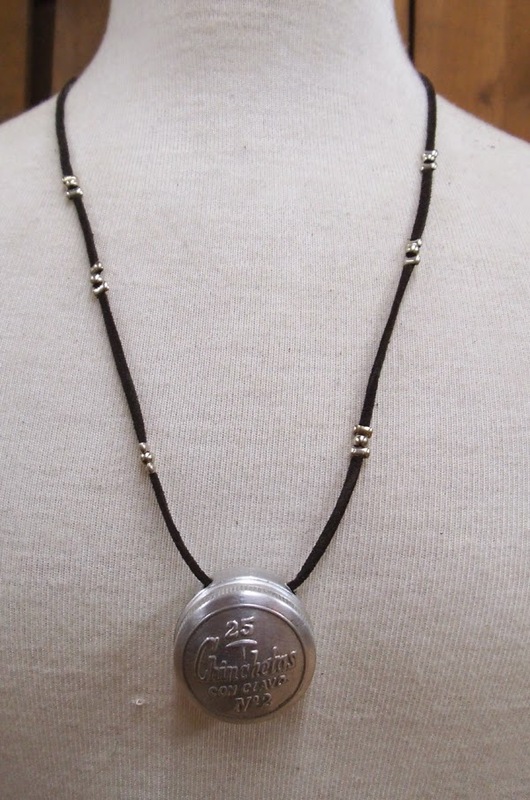 Long necklace with vintage thumbtacks box, black suede and chrome beads. 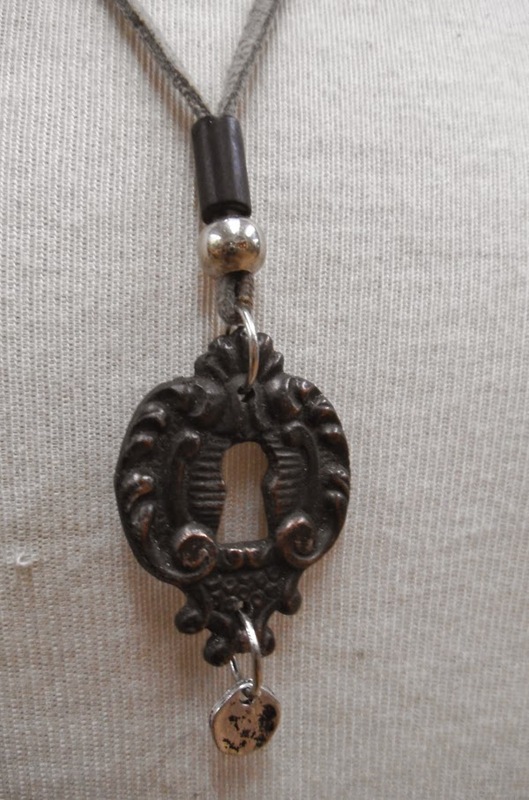 Lobster clasp at the back. 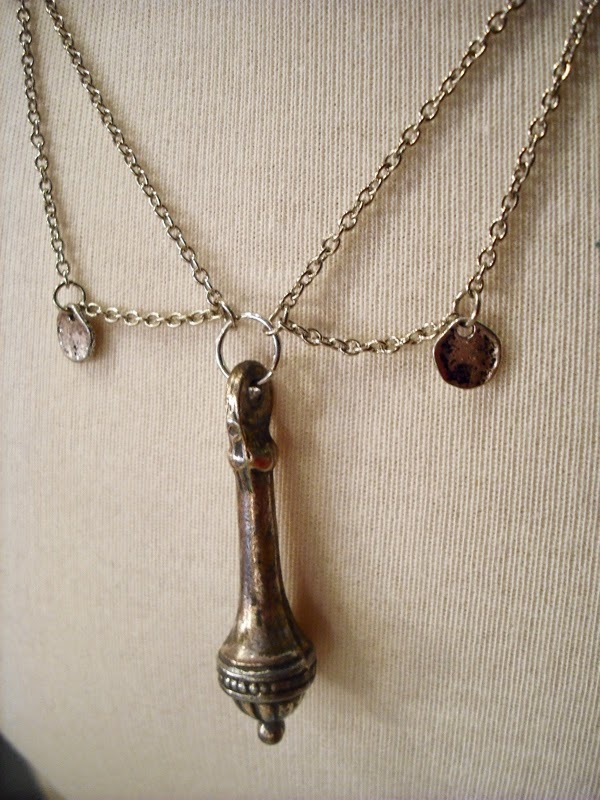 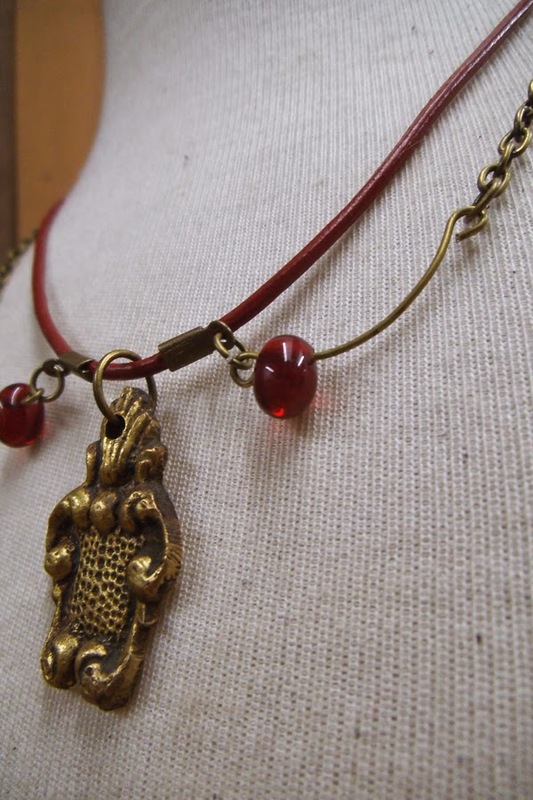 Medium lenght necklace with antique bronze pull plate, red leather, brass chain and red glass beads from India. 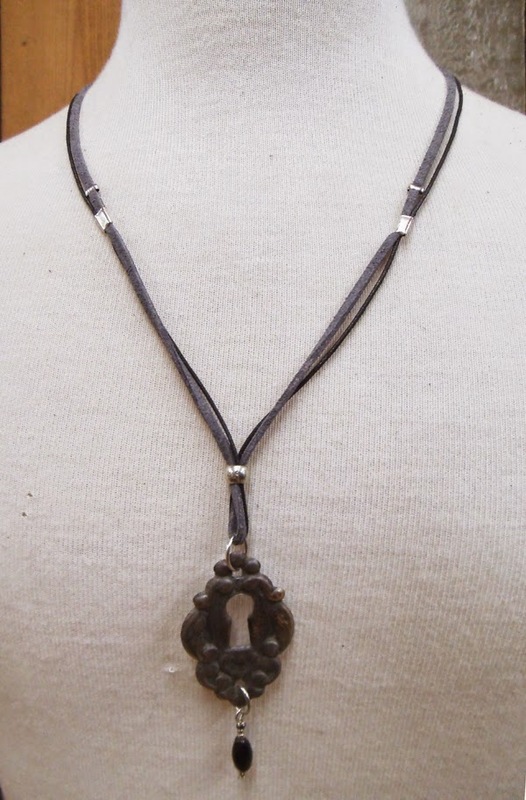 Lobster clasp at the back. 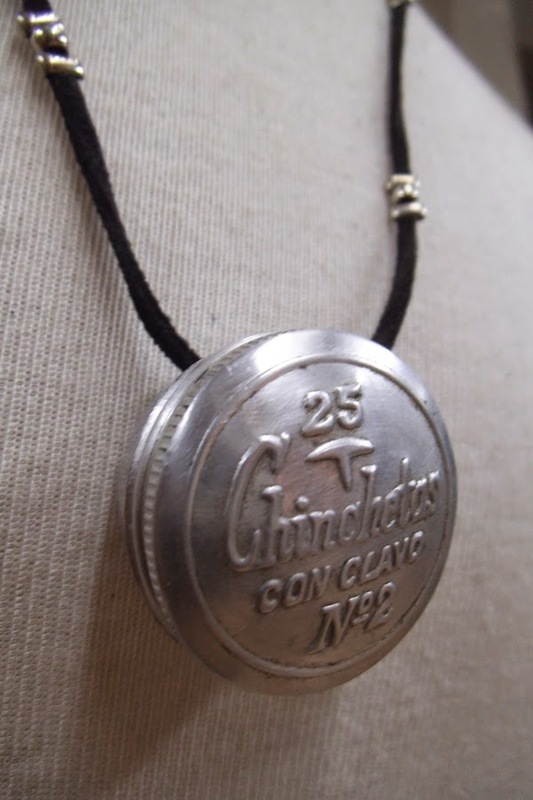 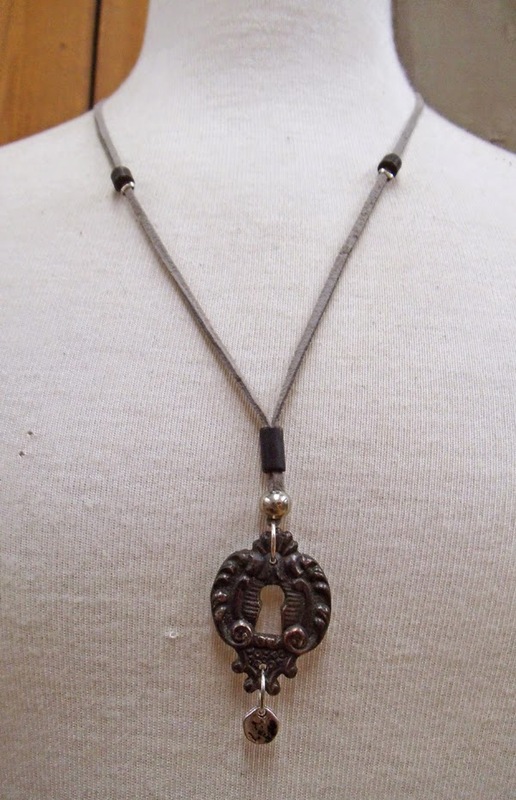 Long necklace with antique tin keyhole plate, gray suede, black cotton, chrome beads and black glass bead from India. 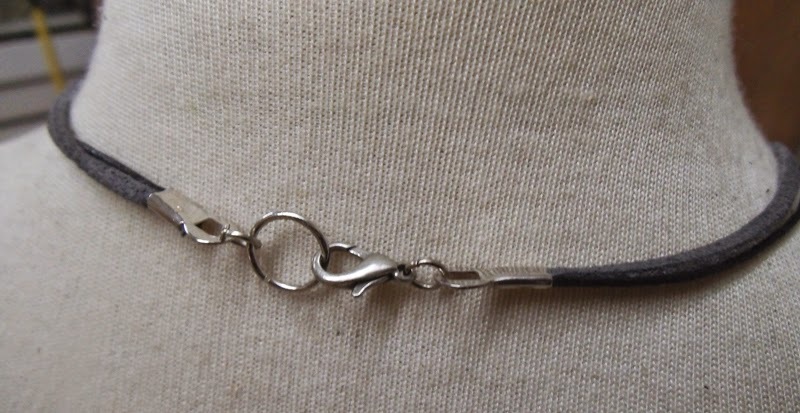 Lobster clasp at the back. 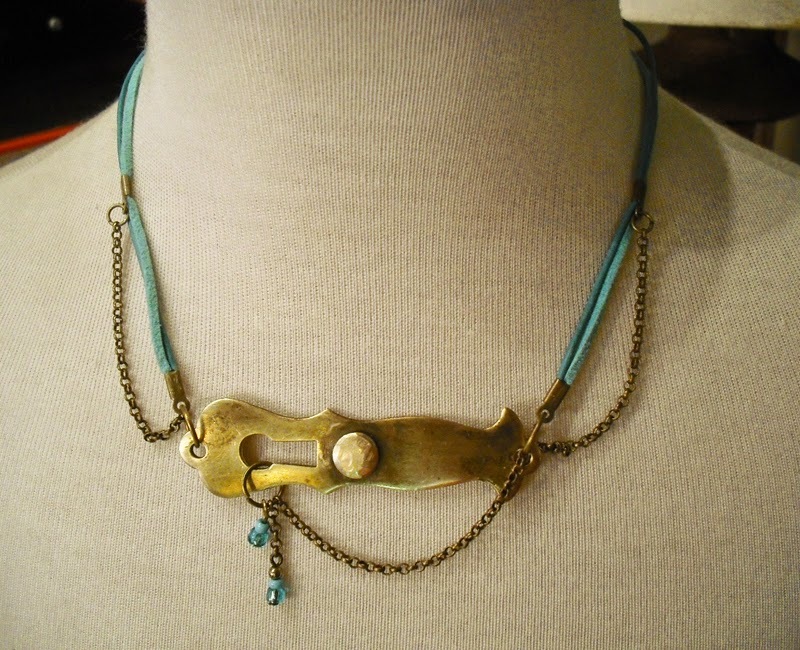 Short necklace with vintage brass keyhole and pull plate, leather and faux leather turquoise cord, brass rolo chain and aqua glass beads from India. 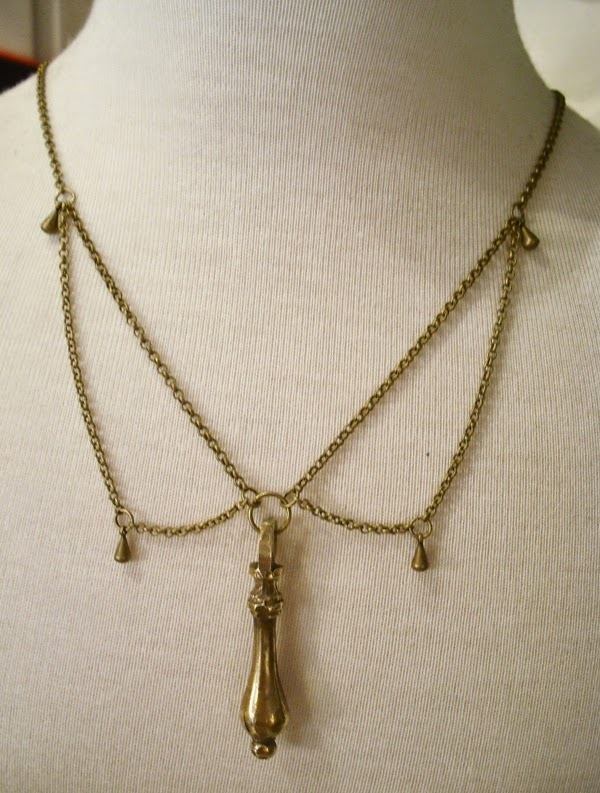 Lobster clasp at the back. 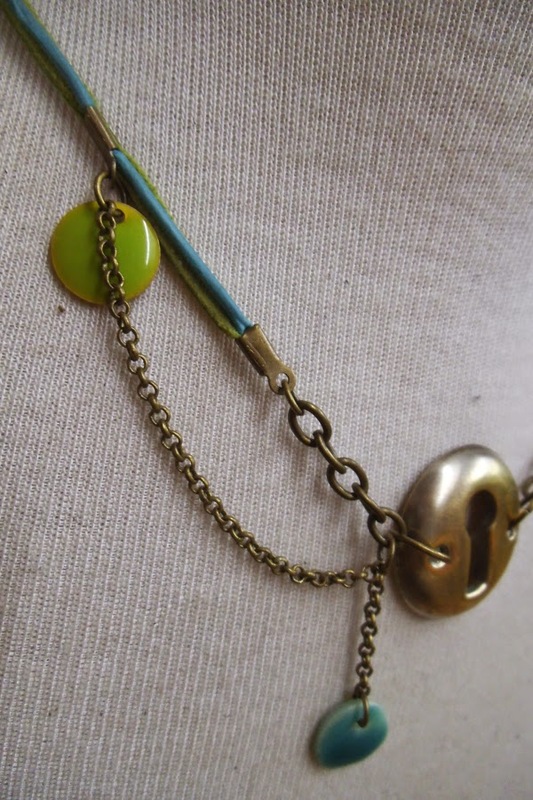 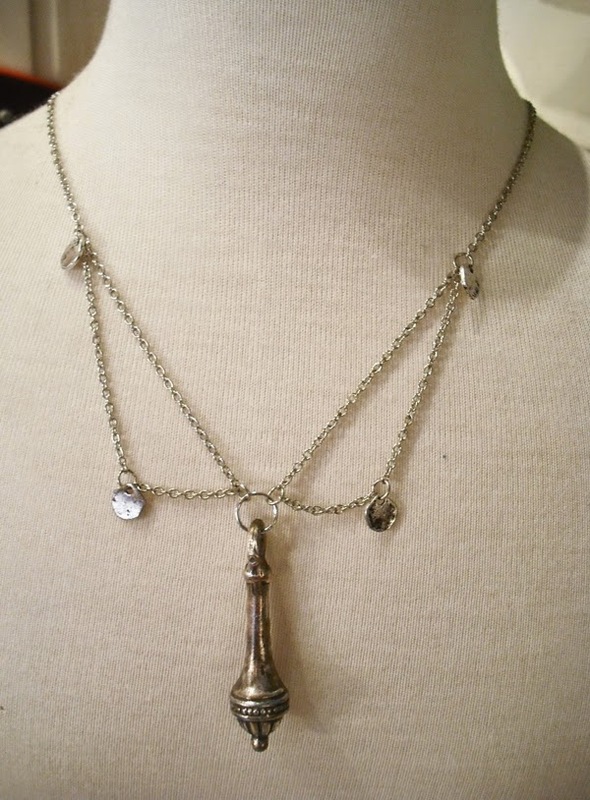 Medium lenght necklace with antique white brass pull, chrome rolo chain and chrome beads. 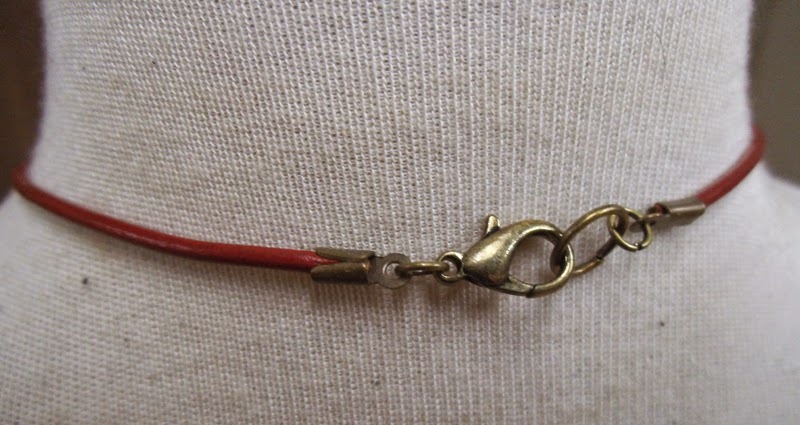 Lobster clasp at the back. 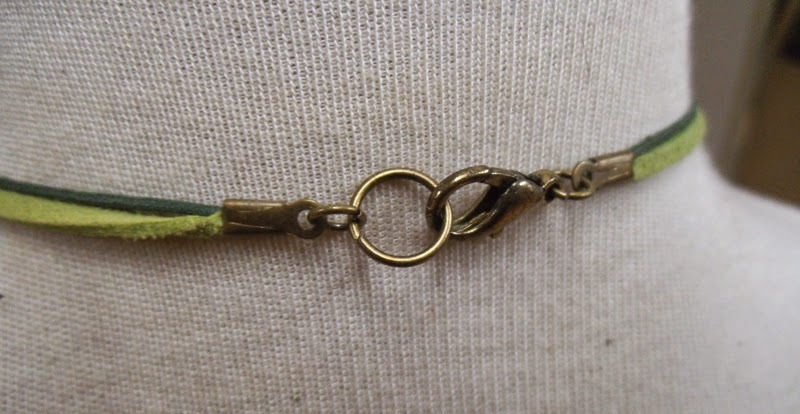 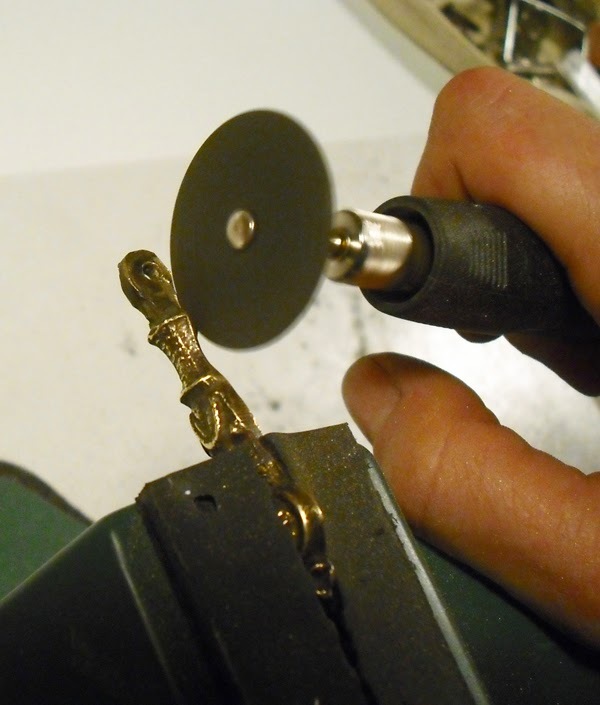 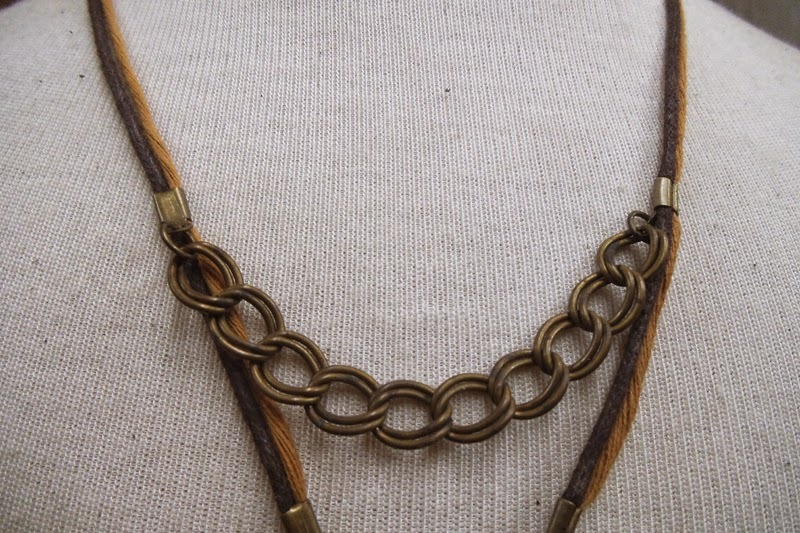 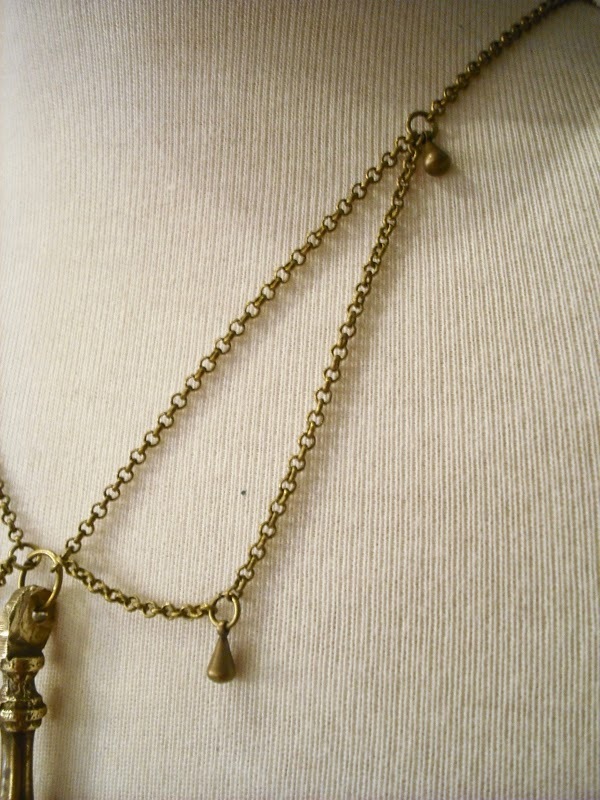 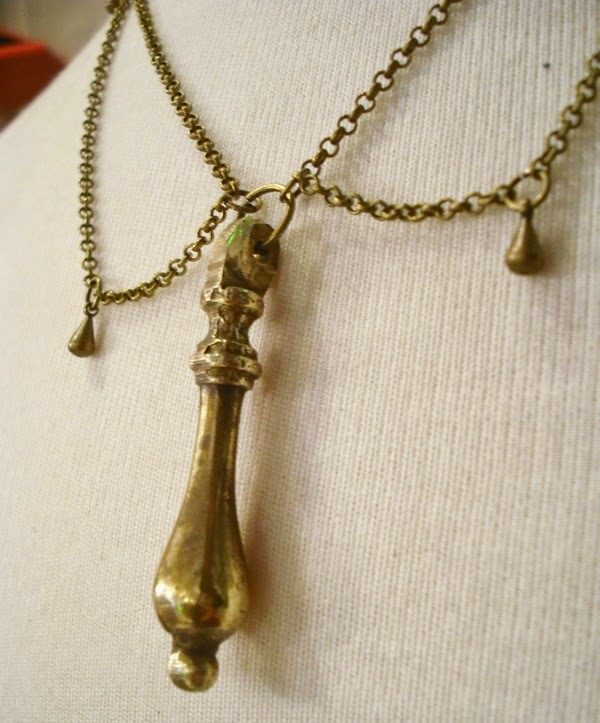 Medium lenght necklace with antique bronze pull, brass rolo chain and brass beads. 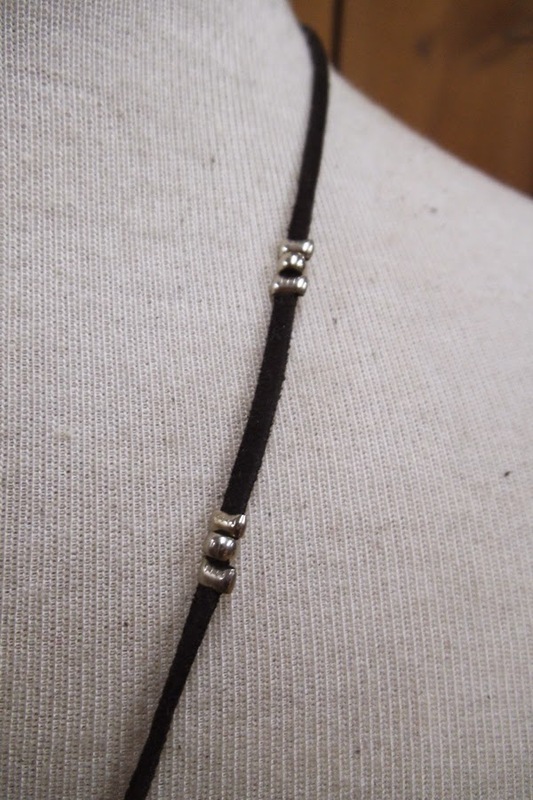 Lobster clasp at the back. 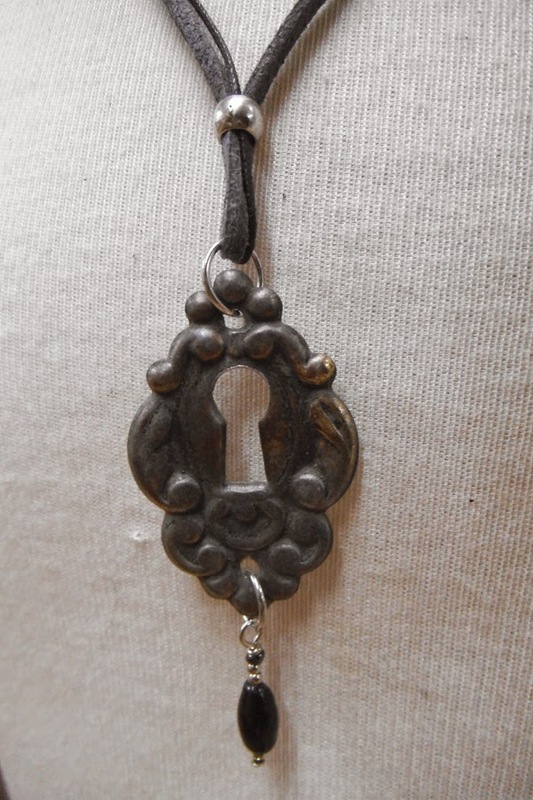 Long necklace with antique bronze keyhole plate with black patina, gray suede, clay and chrome beads. 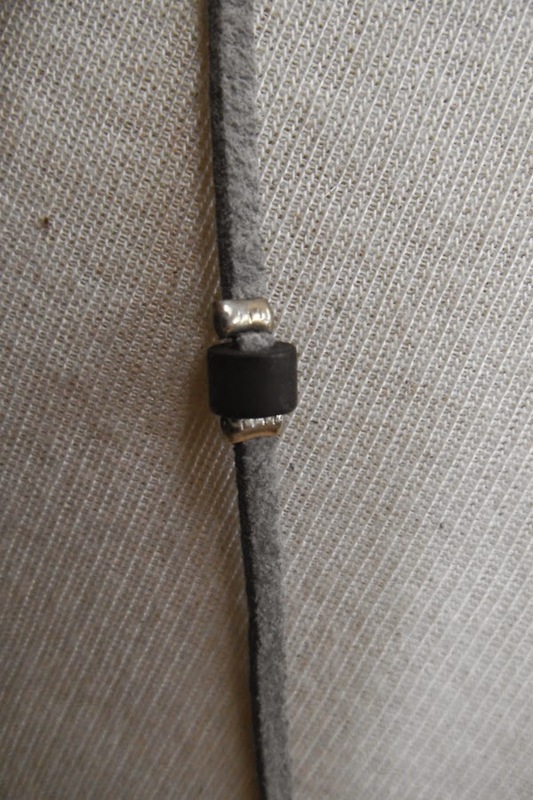 Lobster clasp at the back. 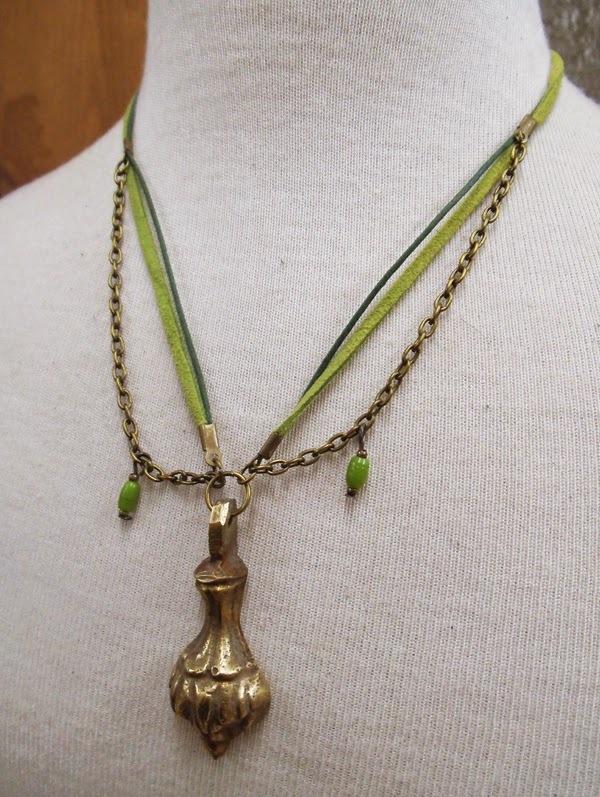 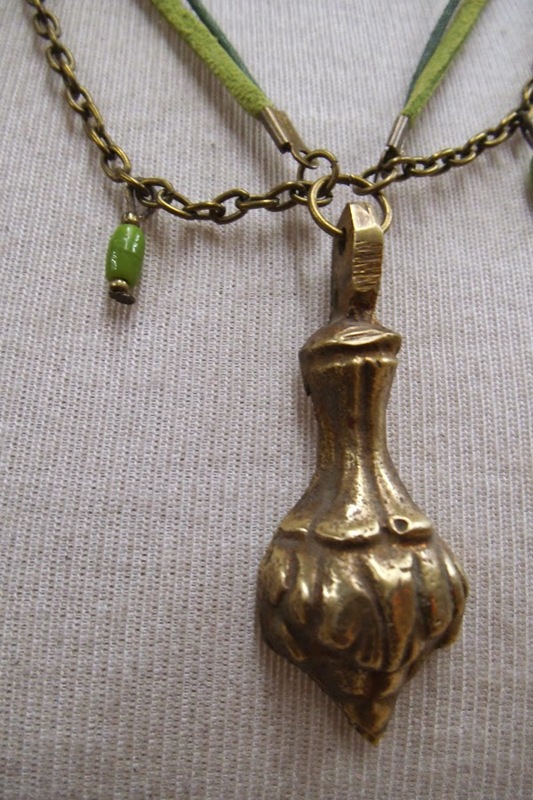 Short necklace with antique bronze pull, lime green suede, dark green cotton, brass chain and green glass beads from India. 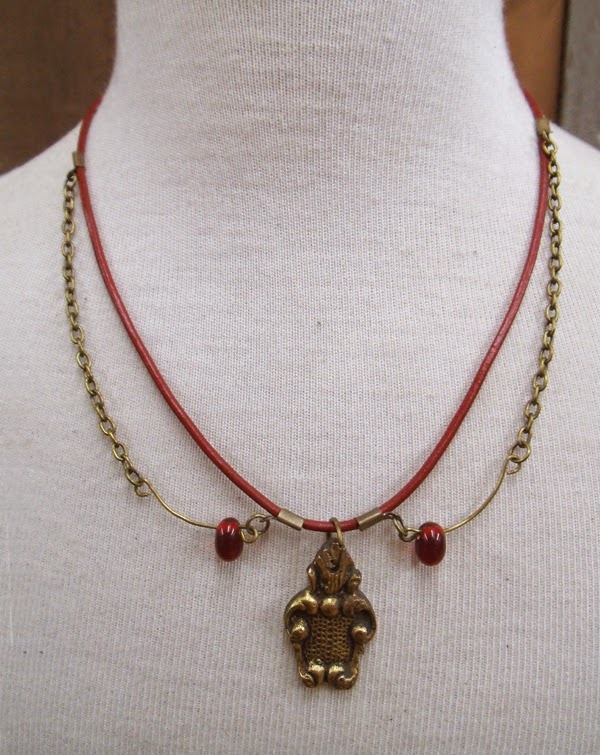 Lobster clasp at the back. 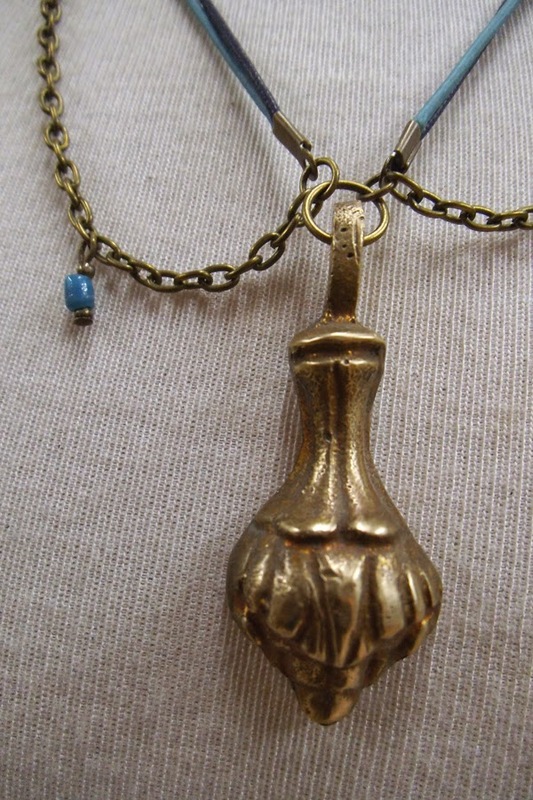 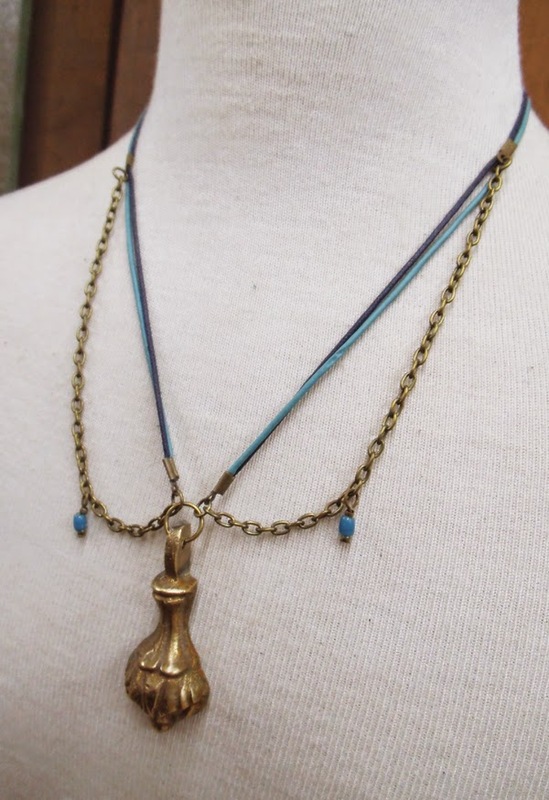 Short necklace with antique bronze pull, light teal faux leather, navy blue cotton, brass chain and teal glass beads from India. 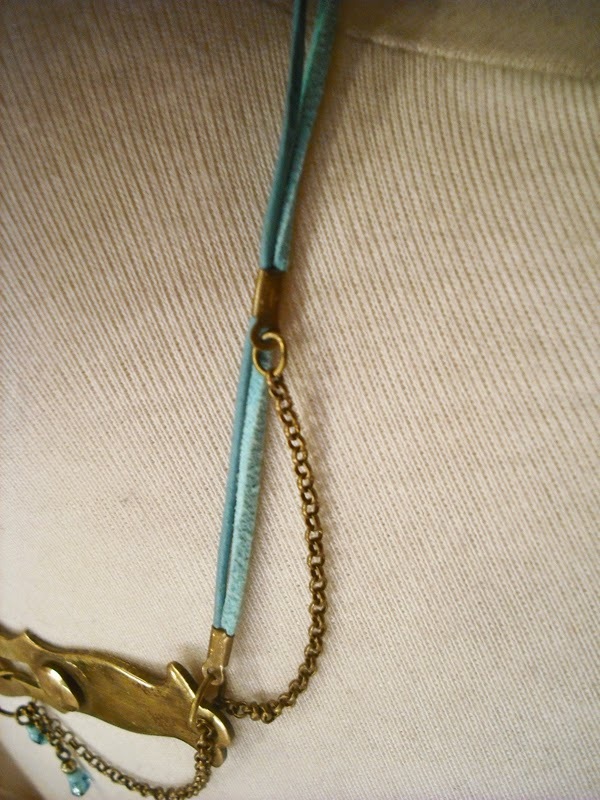 Lobster clasp at the back. 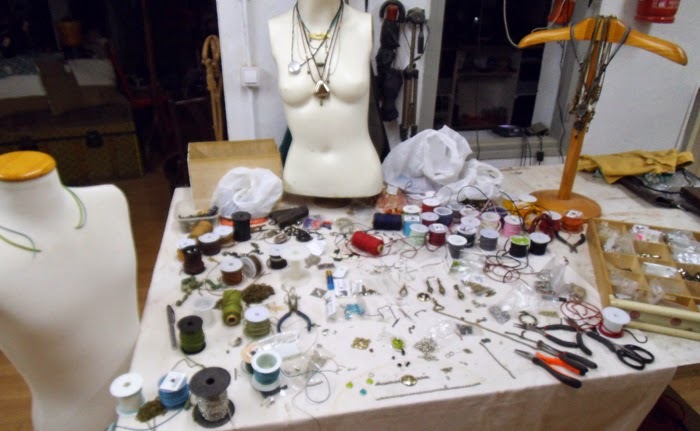 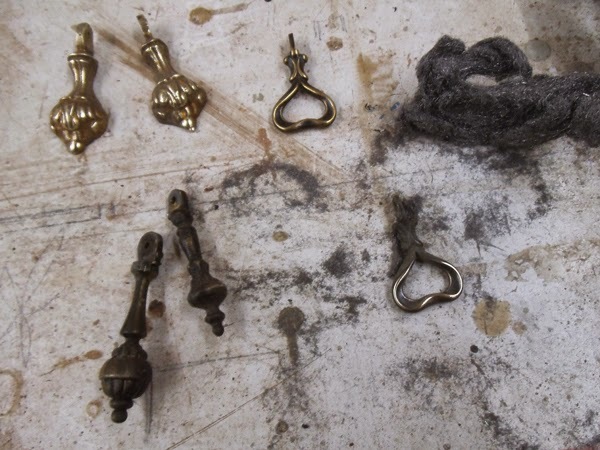 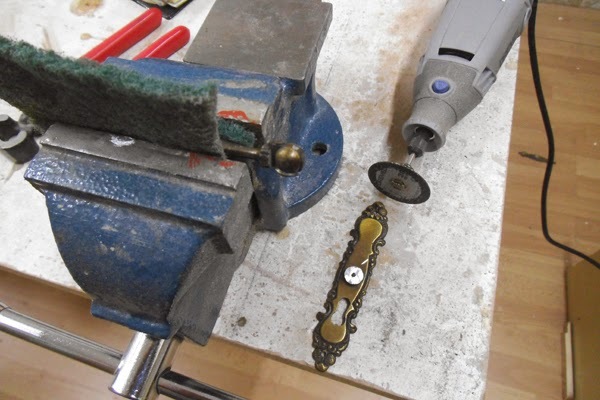 And a general view of the workspace during the assemblage. 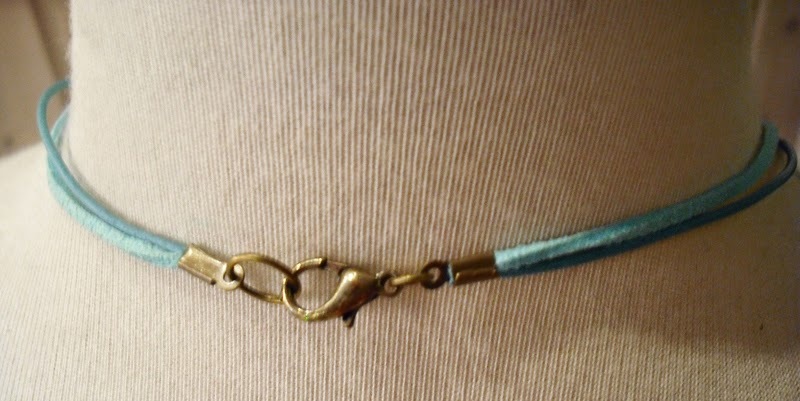 My cats are true angels, never touch such a display of temptations!